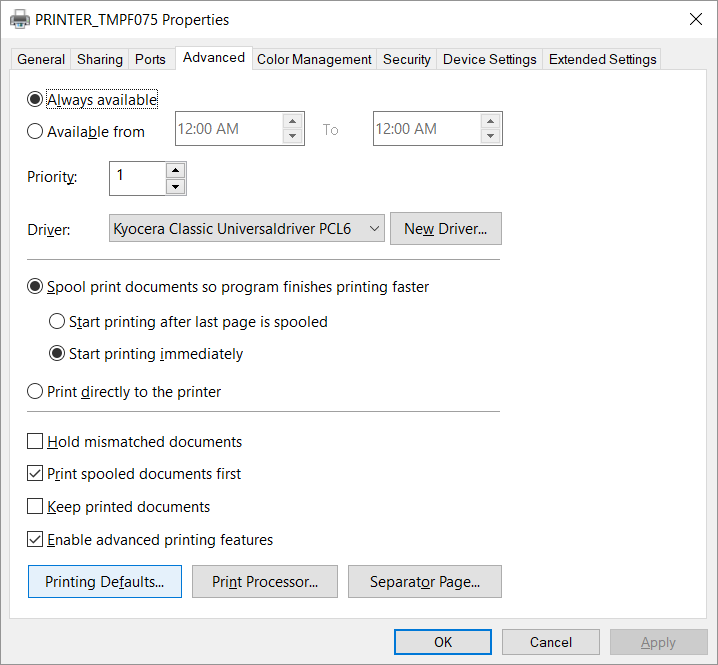 In the Printer properties dialog select the Extended Settings tab. Extended Settings. Change No finisher to for example 1000 sheet finisher, to get access to Punch unit type and Staple unit. Optionally open the Device Settings tab to configure Installable Options and Form to Tray Assignment. 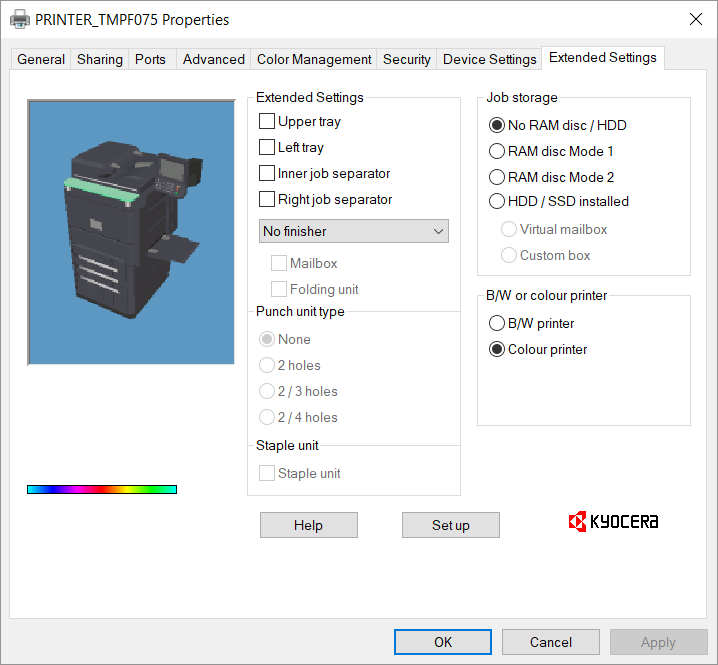 Optionally open the Advanced tab and select the Printing Defaults… button to configure per-printer defaults. 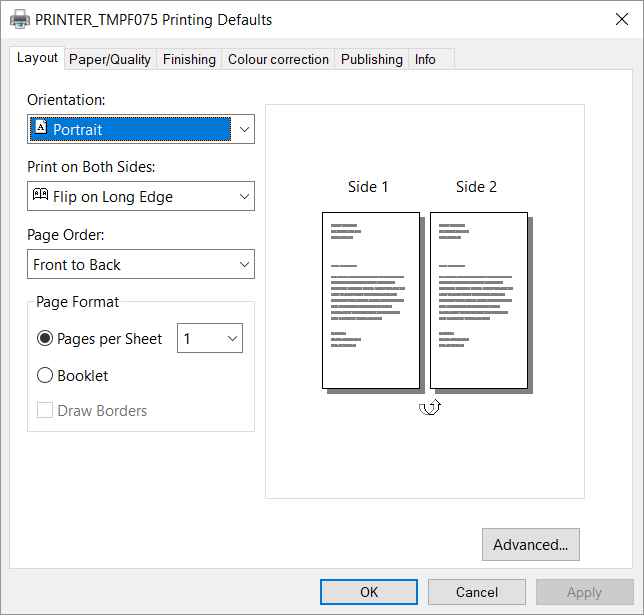 Printing defaults include Advanced Document Settings (such as Print 2-sided, and Print in black), and for example Finishing Options.